Published on 6 September 2012. 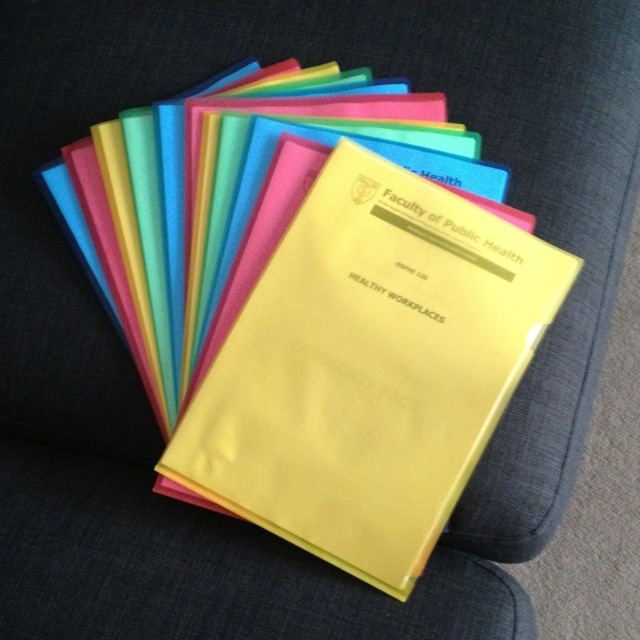 These are all practice OSPHE stations that I’m using to help prepare for my MFPH Part B exam. I put them in coloured folders to make them more fun. It wasn’t a terribly successful strategy. When coming to post this, I’ve realised that I forgot to post a photo yesterday, so I’ll do two tomorrow to make up for it! Sorry! This 1,798th post was filed under: Photo-a-day 2012, Public Health.